THE LIGHT THAT FAILED - 1939 film adaptation of the Rudyard Kipling novel starring the wonderful Ronald Colman. THE CHARGE OF THE LIGHT BRIGADE - 1936 film based on the poem by Alfred Lord Tennyson starring Errol Flynn, Olivia de Havilland and Patrick Knowles. 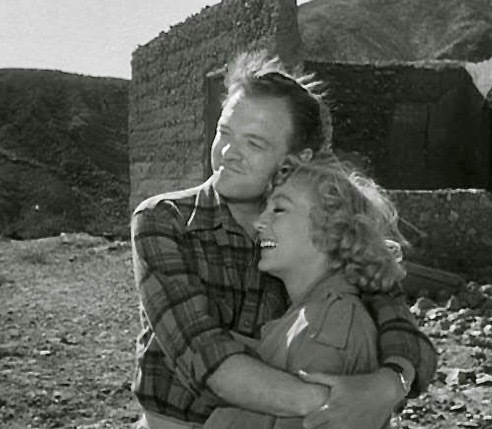 This might be a bit of a stretch, but how about The Prowler, in which Van Heflin and Evelyn Keyes seek shelter (from the law) in an abandoned mining town? Yes, that works! Great film. 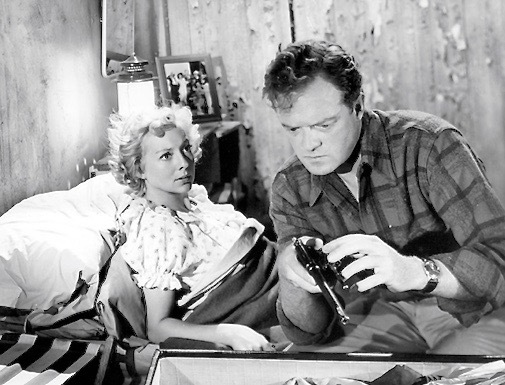 WHISTLE DOWN THE WIND (1961) - Hayley Mills and her brother provide "shelter" for escaped killer Alan Bates, who is hiding in their family barn, believing him to be Jesus Christ. 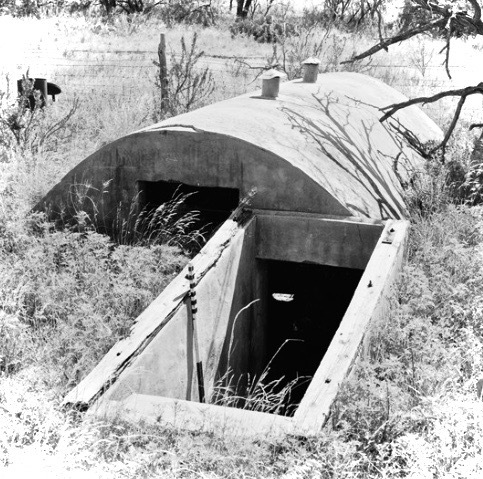 NIGHT OF THE LIVING DEAD is mostly about a group of strangers fighting over the shelter from the zombies and takes place mostly inside the shelter. THis is true of many zombie/monster/alien movies like THE LAST MAN ON EARTH, SIGNS, etc. Even the classic WOLFMAN movie format where the innocent people come to a house for shelter from the rain then get stuck there all night, so "shelter" becomes an irony. The latter format inspired a spoof musical I did lights for once called I'm Sorry, The Bridge Is Out, You'll Have to Spend the Night. Never heard of this one before. Thanks for mentioning it. Certainly looks interesting. The book Black Robe (1985), by Brian Moore, is also good. Both the book and the film have much to recommend them, which is unusual because I usually like the book more. 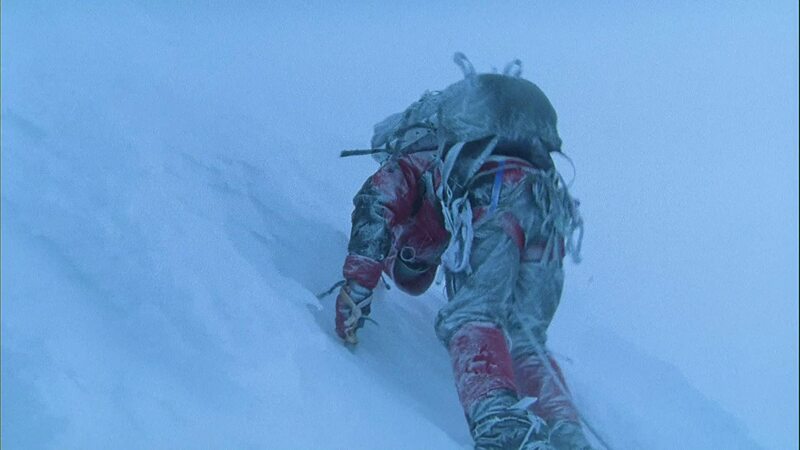 Bridget Jones has a disastrous day at the slopes in Bridget Jones: The Edge of Reason (2004). 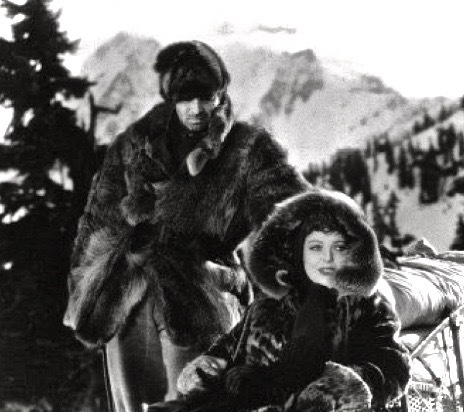 Gregory Peck regains his memory after going down the slopes in Spellbound (1945). The Man Who Knew Too Much (1934) opens on the slopes. An avalanche opens The Lady Vanishes (1938). An avalanche creates some marital tension in Force Majeure (2014). Way Down East..poor Lillian Gish..
None of these temperatures come close to MARCH OF THE PENGUINS! Brrrrrrr!